Sorting through all of the bridal magazines, Pinterest options and watching bridal shows can leave you confused and with too many ideas to know what to do with. That is where A Time 4 Memories comes in. This company not only plans beautiful events but also really works with couples to help them make the best decision for their event. With vast amounts of experience with local vendors, this company will present you with the top options for your ceremony and reception. There are different stages in every couples planning process when find that hiring a planning company might be best. 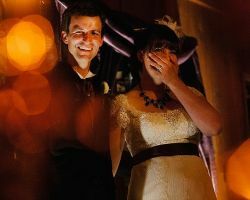 For some couples this is as soon as they are engaged, for others it is when they are overwhelmed and in the most difficult stages of planning and for some it happens on the big day when they want someone to run the show. Soleil Bliss Event Productions is familiar with this and is why they offer packages for entire planning, 30-days out assistance, and day of coordination. Event design is a passion for the designer and owner of Wedding by Muse, Christina Safford. The talent and dedication of all of the team members at this planning company is clear, which is why they are becoming celebrities among the bridal community. There is no experience more personalized and artistic than the one offered by this coordinator. This company is available to work with brides who need help coming up with their wedding vision as well as with those who already have one and need assistance making it come to life. Not everyone has a talent for event planning, which is why many couples are choosing Class Act Events to help them plan their special day. This company can help couples at any and every stage of the planning process and guide them through choosing vendors, flowers, catering and so much more. Having this Portland wedding planner on your side will not only make the experience more enjoyable for you, but it will help you to stay on budget as well, which is always a concern when planning a large event. 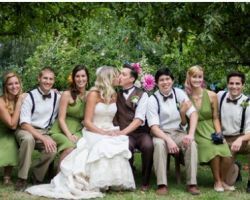 Shelley Kane, the owner of Moxie Events has created a professional team of event designers and organizers to plan and execute elegant and beautiful weddings in Oregon. This company can provide you with the tools you need to plan an event yourself, including their wedding notebook, checklist, spreadsheet for budgeting and one meeting with a coordinator. If you would like the team to step in and take care of everything, then you will get all of those things, plus complete access to the team and their creative wedding ideas. Event planning will be done by artists in their field just like the photography, the cake and many of the other aspects of your wedding. 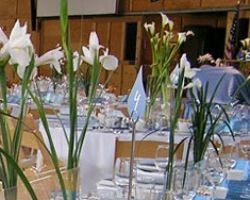 A E Creative is an event planning company that is not only creative but passionate about planning events for their clients that are personalized and unique. This company can help local couples plan their special day or act as the liaison with vendors for couples planning a destination wedding in the area. Whatever your vision, this company can make it happen. 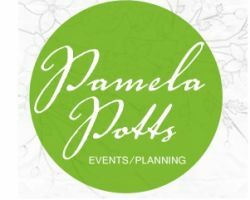 Pamela Potts Events is a certified wedding planning company in Oregon. 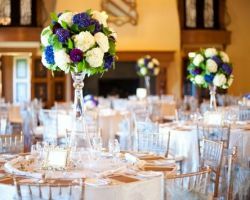 The owner and main events designer, Pamela, works closely with her clients to ensure they have the wedding they have always dreamed of and the party that will truly celebrate the momentous occasion. Whether you need her and her team to plan the entire event, simply act as the organizer on the day, you will be in very capable hands. Call Pamela to find out about her availability and her rates. 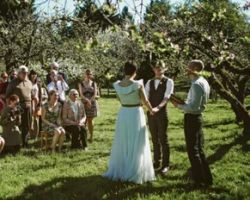 Ella Events is a team of three professional and passionate wedding planners in Oregon. This team works flawlessly together to make your fairytale wedding come to life. Each event they plan is unique to the couple’s story. Whether you want something grand and formal or something with an indie feel, they can make it happen with their boutique-style service. This team will not only help you make your dream day come true but they will also make sure everything runs smoothly behind the scenes on the day of the event.